Bob Vohl is our Sales and Marketing Manager. Bob brings over 20 years of sales, marketing and risk management in the insurance industry to the position he filled here at SERVPRO in 2015. He is responsible for managing and cultivating the very important relationships we have with our local business community. In addition to regular visits to our insurance agency partners in the area, Bob will coordinate all of our training and continuing education classes we provide to those partners. Bob, who is HIPPA Certified, is the Director of our Support Services Division and coordinates our Document Restoration Response Team and other Support Services response team efforts in the field. Bob is certified with the IICRC as a WRT (Water Restoration Technician) & ASD (Applied Structural Drying). Bob is also certified with the ACAC as a CIE (Council Certified Indoor Environmentalist). He runs our partner company MB Mold & Air Quality Testing. In that capacity, he does Mold and IAQ testing for many of the local remediation contractors, including SERVPRO of Dubuque as well as several of our sister SERVPRO stores IA, IL & WI. Bob loves to spend time with his family and friends and is an avid outdoors-man. Jenny Dazey is our Operations Manager and has been with the company since 2010. She has IICRC Certifications for: ASD (Applied Structural Drying), FSRT (Fire & Smoke Restoration Technicia), OCT (Odor Control Technician) and WRT (Water Damage Restoration Technician). Jenny is also certified for Xactimate, Quickbooks, Lead-Safe Renovator. Jenny enjoys spending time with family and friends, but travel is her passion, which she loves to do as often as SERVPRO allows her to get away! Terry Lenstra is our lead Mitigation Project Manager, and has been with the SERVPRO since April 2005. Terry is certified for the following: Water Damage Restoration, and Successful Subrogation 2. Terry is also trained and certified for Xactimate, DryBook, Lead Safe Renovator, SERVPRO’s employee training, and Workplace Safety. In his free time Terry enjoys hanging out with his wife Julie, riding bikes, exercising, Farmers Markets, and small town Iowa attractions. Terry is also a member of Hope Church Dubuque IA., and participates in the churches music department. Kim Harvey is one of our team Project Lead Technicians who joined SERVPRO in March of 2014. She is trained in Drybook and is a Certified Lead Safe Renovator. Kim has 10 years of prior experience in the nursing home service industry. In her spare time, Kim enjoys spending time with her 3 children, watching the Chicago Bears, reading and shopping. Mike Rooney is one of our Project Technicians that started working at SERVPRO in 2016. Mike was introduced to SERVPRO when his family home had a fire earlier in the year. After spending time with some of our crew on the jobsite, he decided to join the team. Mike previously was a manager at Ferrell's Extreme Body Shaping. In his spare time, Mike enjoys spending time with family and friends as well as working out at Crossfit of Dubuque. Rob Hirsbrunner is one of our team of Project Lead Technicians. 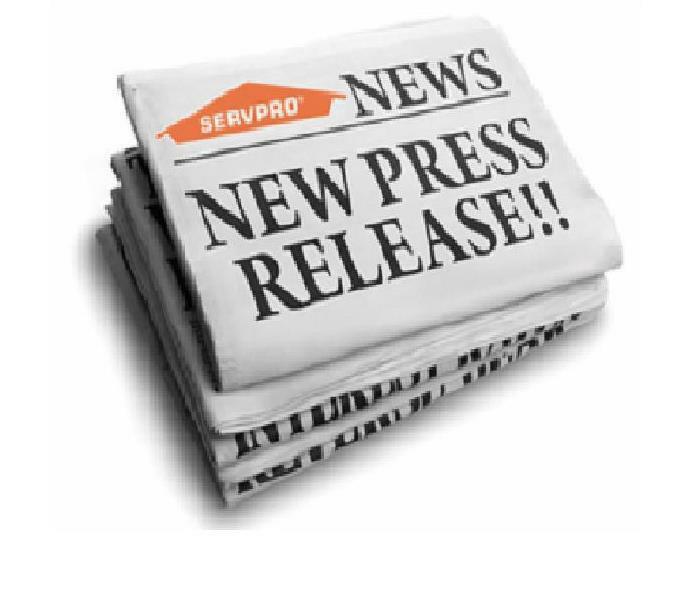 Rob joined SERVPRO in January of 2014. He is IICRC Certified for WRT (Water Damage Restoration). Rob brings with him 8 years of mechanical experience and helps keep our shop equipment in top working order. In his spare time Rob enjoys spending time with family and friends as well as fishing, hunting and bowling. Katie Nesteby is our Project Manager and Large Loss Response Team Leader. She has been with SERPRO since January 2014. Katie works with homeowners, adjusters and our other staff to help schedule projects and keep them running smoothly. She completed the WRT (Water Restoration Technician) certification program in 2015. As a single mother of 2 girls and a boy, she enjoys spending her free time with her children and mother, fishing, camping, hiking and family bike riding. Ken Shannon is our Marketing Representative for SERVPRO of Dubuque. Ken is responsible for representing SERVPRO of Dubuque around our service area. Ken visits our insurance and real estate agency partners as well as other local businesses. Ken can also be found supporting local golf events, lounging in the shade of our green tent while handing out water and candy bars. Ken lives in Dubuque with wife Shirley and enjoys spending time with his friends and family.